Ecotopia: A Worthwhile Facebook Game? For some reason, I have never gotten into FarmVille, which is perhaps the most popular Facebook game of all time. I did find myself wasting lots of hours on CityVille, though, for reasons I cannot explain. Now, here comes another game, which aims to catch the attention of the hordes of people already addicted to Facebook games. Called Ecotopia, the game seems to have some similarities with CityVille and other games in the same category. 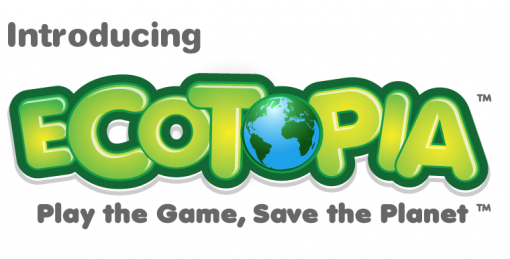 The big difference is that Ecotopia is being touted as a “green game”. It is being developed by Talkie, in cooperation Conservation International, with Hollywood star Harrison Ford’s support. Players start with an environment that is dirty and inhabitable. The task is to generate resources and eventually create one’s own utopia – with the good of the environment always a prime consideration. I know many of my Facebook friends do not care about my fish, my mafia, or my city; but if Ecotopia is going to be good as it is being hyped up, I wouldn’t mind risking the ire of some Facebook friends for a worthy cause. Shall we give it a try when it comes out on the 4th of April?